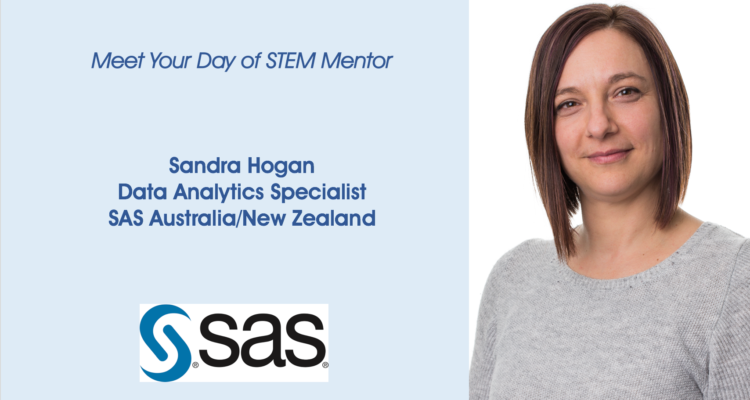 Day of STEM recently interviewed Sandra Hogan, a Data Analytics Specialist with SAS Australia/New Zealand to learn more about her career and background in STEM. Sandra is featured on the Day of STEM platform as an industry mentor in the Collingwood STEM Cup program, which is available to students now. Read her story below and check out her profile on the platform.